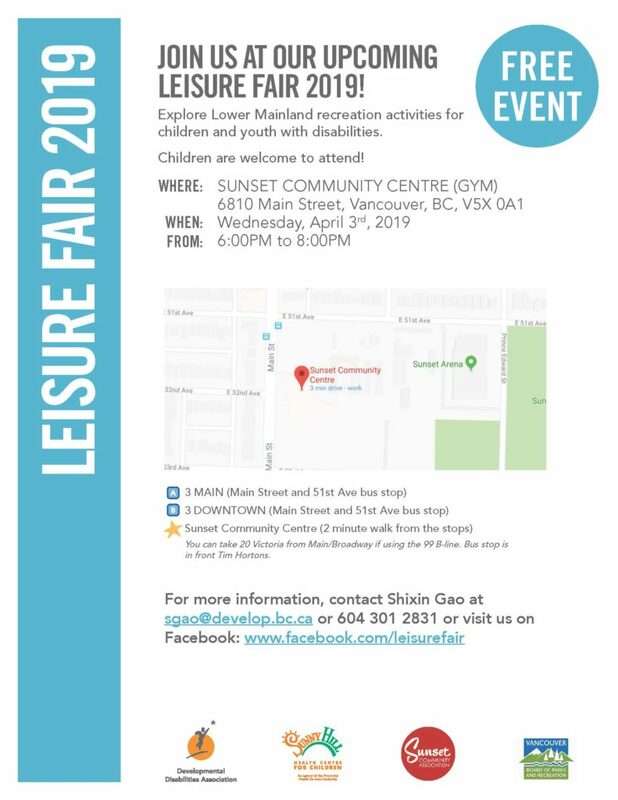 Explore Lower Mainland recreation activities for children and youth with disabilities. Tables are limited, please register early! For more information, contact Shixin Gao at sgao@develop.bc.ca or 604-301-2831.